Toro Road Runners is proud to provide a wide range of towing services to Bay Area residents. 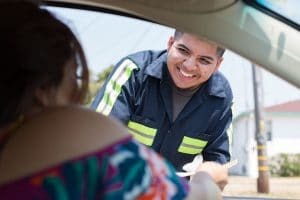 The local towing company is always available to help San Jose, San Francisco and Oakland drivers if they find themselves in need of any type of towing or roadside assistance. To keep our customers satisfied we make sure to provide efficient service around the clock. That’s right – we have teams of professional tow truck operators on duty 24/7, every day of the year. Our operators are available to help you out, whether you’ve been involved in an accident or have broken down and need emergency towing services, or you would like to arrange long distance towing, our team is always happy to help. Our teams provide immediate responses to all emergency calls. Toro Road Runners provides affordable towing and roadside assistance services to local drivers. As part of Toro Road Runner’s basket of towing services the company provides trailer towing services for all types of vehicles and trailers of up to 3.5 tons in weight. We have a proven track record of towing exhibition trailers, catering trailers, promotional trailers, boat trailers, caravans, plant hire companies, caravans, events industry, telecoms infrastructure and other vehicles and equipment, long and short distances. We understand that you may not need your trailer to be towed more than once or twice a year, so towing it yourself makes no sense. We will happily take your caravan or trailer to where you want it to stand for the season and tow it back at the end of the season-saving you a lot of hassle and unnecessary expenses. Toto Road Runners is a licensed, insured and bonded company that works with a fleet of tow trucks including ones that can transport your trailer or other heavy vehicle or equipment to where you want it to be. Our experienced tow truck operators will deliver your trailer in perfect condition according to the schedule that suits you. Whether you are a holidaymaker who would want a trailer placed in a certain location for the holiday season or if you need your trailer moved for work purposes we will be delighted to help. Our towing experts will discuss your trailer towing requirements with you, including your schedule for the tow and delivery. We will also assist you with getting your trailer ready to be towed, including securing objects inside the trailer to prevent damage to the objects and to the trailer during towing. Have a question about our towing services? Give us a call to find out more about our professional towing services and to get a quote for towing your trailer. We are always happy to discuss your towing requirements.